I have a deep and abiding love for the minimalist artistry that goes into making a truly tasty sandwich. Holding a generous cut of cured meats between two pieces of rye or pumpernickel evokes within me a primal sense of beauty, a satisfaction that often borders on the fetishistic. For over a hundred years in America, the deli has been the monastery of the sandwich aficionado, and for the past seven years in Grand Rapids, the place to go for a top-flight deli sandwich has been Cherry Deli. Standing placidly in a shady plot on Cherry Street and Eastern, Cherry Deli seems like the perfect place to pop in for a quick, uncomplicated lunch. The open-air patio and cabalistically comforting deli counter makes the milieu shimmer with the promise of a breezy afternoon respite. This is no illusion, and you are in for exactly what you imagine. 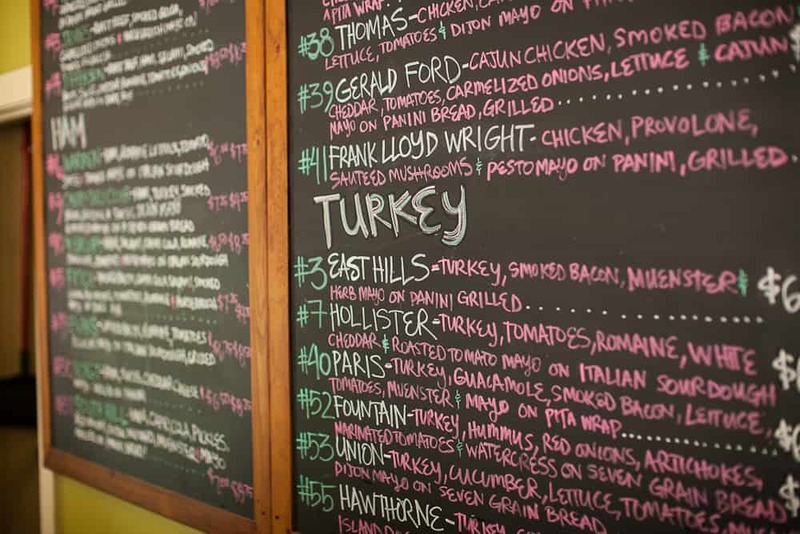 Consternation, however, might arise when you crane your neck to the chalkboard menu display to see the staggering selection of 55 sandwiches up for grabs. Add to that 11 alluring salads, a constantly rotating choice of both hot and cold soups, and the nearly inexhaustible pairings of sandwich/salad, soup/sandwich, salad/soup and you might be in for a bit of walleyed gazing before you get started on that idealistic lunch-break you had in mind. All of the usual deli suspects make an appearance on the menu. Thick slices of pastrami, corned beef, and salami are paired with marbled rye and russian dressing, as to be expected. There is the sandwich-press-styled Calder, Cherry Deli’s own take on the classic Reuben, as well as the Blodgett, a carnivorously-complex stacking of pastrami, capicola, and salami between two slices of panini. On top of the classic deli-fare there is also my personal favorite the Diamond, a roasted chicken sandwich with dill Havarti, onions, lettuce, and tomato on a black bean salsa baguette that is so textured and nuanced I revert to a dribbling mess and start speaking in tongues simply trying to evoke its transcendent wonder. 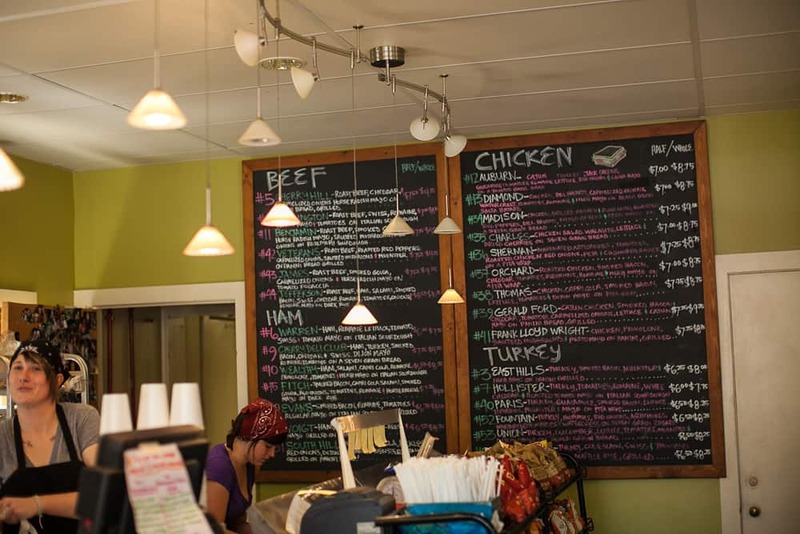 And vegetarians, be not afraid, Cherry Deli also has a vast selection of meatless, but still uncompromising, sammies to assure a truly egalitarian deli experience. sandwich, but the fact that each menu item carries the promise of tasting just as unbelievable as the last makes the trip to the idyllic little shop seem less like a one-time pilgrimage and more like a weekly sabbatical. Cherry Deli holds a firm and proud position against the legacy of what it means to be a deli, breaking new ground on territory dominated by the same old standards of cold cuts, cheese, dressing, and bread. Don’t get me wrong, I’m still a huge apologist for the classics, but I’ve got a deep reverence for the brand of artisan-ship going down at Cherry Deli. To get a full sense of what I’ve been gushing about (and maybe avoid that awkward stare at the counter) check out Cherry Deli’s full menu. 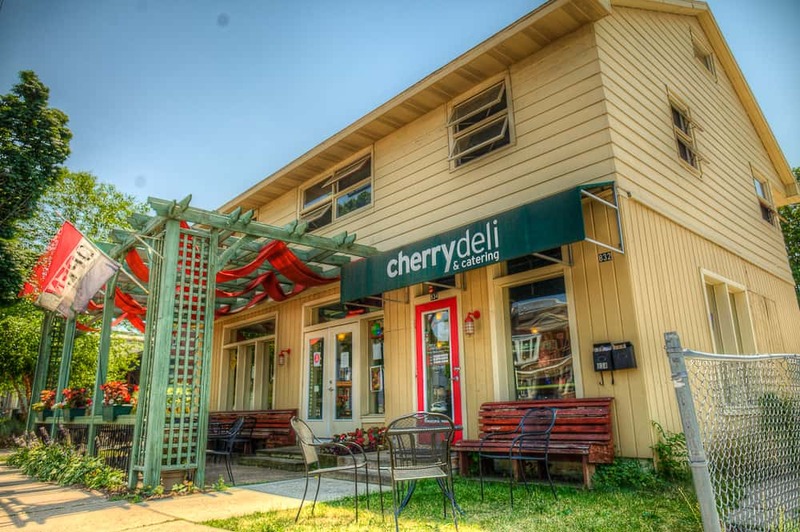 If you want to buddy up with Cherry Deli, be sure to like their facebook page. Tagged deli, Grand Rapids, grand rapids, Sandwhich, tag1.